Jet Set Smart: FUN AT THE FERRY MARKETPLACE! 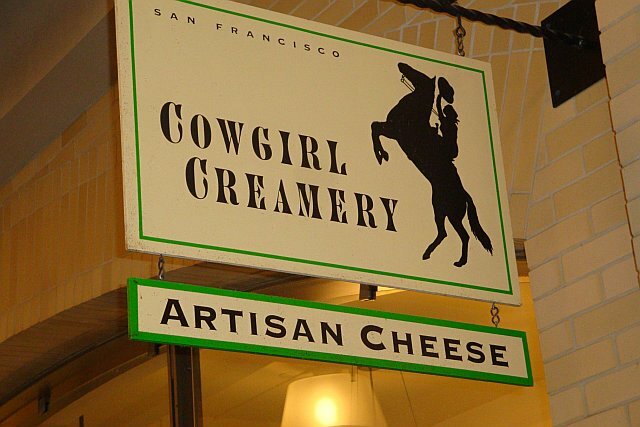 Looking for a fun way to spend your Saturday morning in SF? How about a visit to the Ferry Marketplace and Farmers Market? The Farmers Market is open on Saturdays from 8 a.m.-2 p.m. (it's also open on Tuesdays from 10 a.m.-2 p.m.). The Ferry Plaza Farmers Market is a California certified farmers market, and is the largest farmers market in the whole city! You can find everything here from produce and flowers to breads, cheeses and jams. 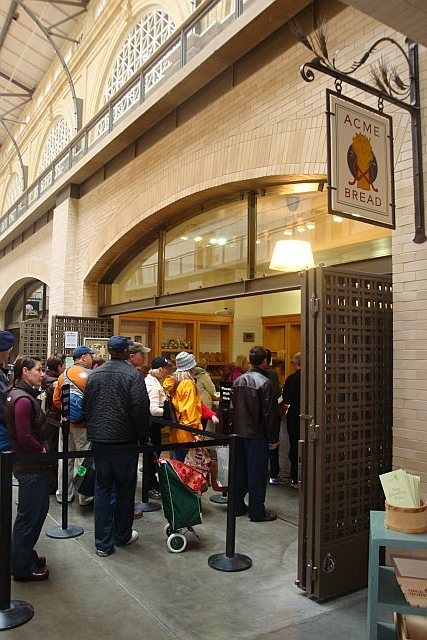 Now the actual Ferry Marketplace is open seven days a week and has more than forty different food shops inside. 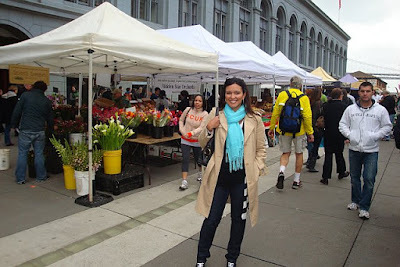 It is a food lover's dream with so many gourmet and elegant food stands to choose from. Louisa and I decided to spend our Saturday morning in San Francisco here. 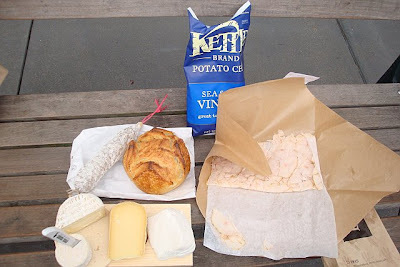 We bought cheese, meat and bread both from the Farmers Market and from the Marketplace, and made our own little picnic. 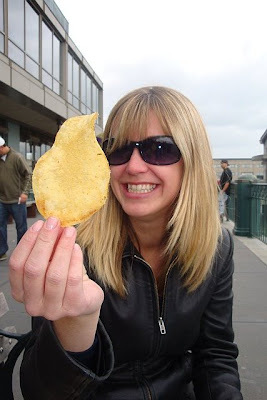 It was fun and a fairly inexpensive way to have breakfast! 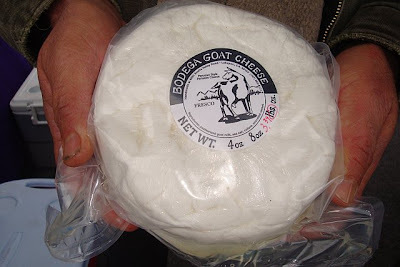 We walked around the Farmers Market first and sampled all different kinds of cheeses, breads and sweets. 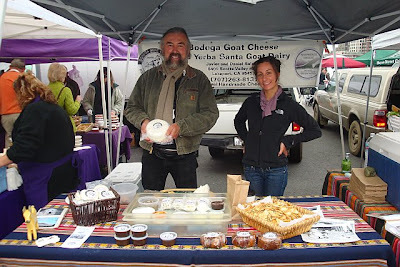 We bought some AMAZING Bodega goat cheese from the Yerba Santa Goat Dairy. I am usually not the biggest fan of goat cheese, but this one was so creamy, and didn't have that horribly bitter and tangy taste that many goat cheeses do have. 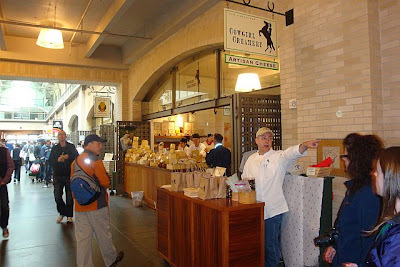 Next, we headed inside to the Marketplace and bought some more cheese from Cowgirl Creamery. They sell an Artisan Cheese American selection bag for $20 which includes three different types of cheeses and a knife. 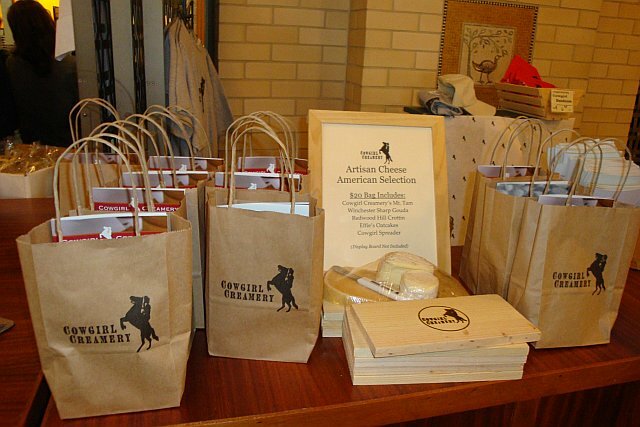 We splurged the extra $5 and also bought the wooden cheese platter to put all of our cheeses on. The other thing that I recommend you buy (if you like meat) is one of their Framani Salametto salamis...delicious! 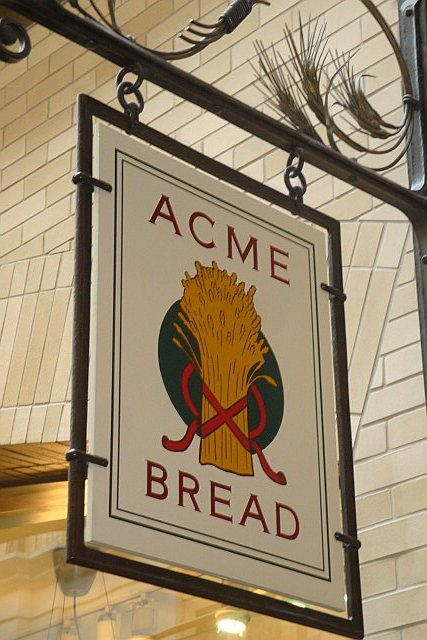 Right next door is ACME...one of the best bread makers in all of SF!!! 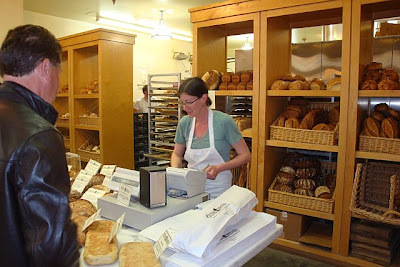 And of course if you are in SF, then you must have some traditional San Francisco sourdough bread...it really is the best sourdough you will ever have! Once we had purchased all we wanted, we went to the back of the Marketplace which faces the bay and set up our picnic. 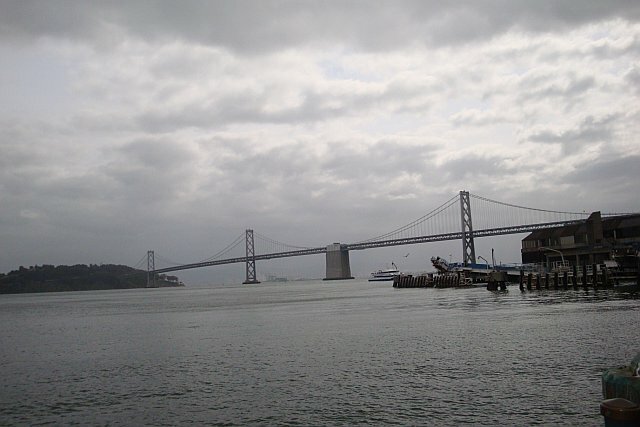 Great view, great friendship, great food...what more could you want out of life? 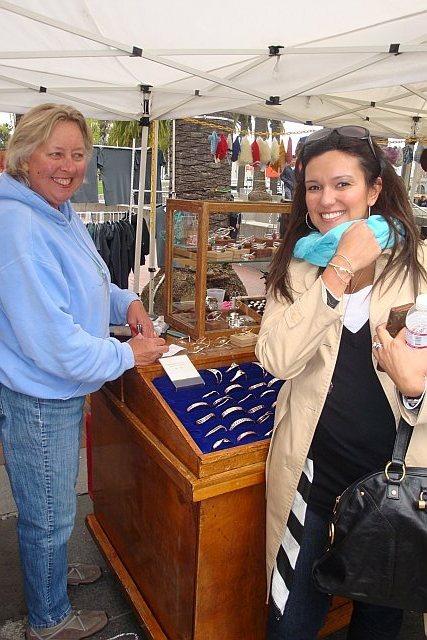 One last thing I want to tell you about the Farmers Market and the Ferry Marketplace, is that outside of the building there are dozens of vendors who sell jewelry, clothing and souvenirs. I found this amazing bracelet by a local designer...very happy about my purchase!